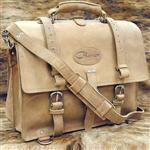 Why a Hilason® Treeless Saddle? Treed saddles had a lot of flaws that were left unattended until Hilason® started its manufacturing. Hilason® has thoroughly analyzed all the limitation and shortcomings in these saddles before it developed its own amazing design. Causes Obstruction for the horse in movement of any type. Can also cause severe spinal cord injury. Causes the horse to feel tired and sweaty earlier than normal. Causes White Spots(on hair) on the withers. The horse drifts when rider mounts or dismounts. Facial expression of the horse becomes tense and "Trapped". Causes the horse to lower its head more often while riding. Causes staggering especially on the trail. Drastically eliminate many of the above mentioned "awfuls". 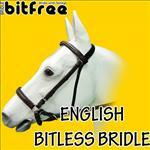 Make the horse more FREE, FLEXIBLE, FASTER and CALMER. 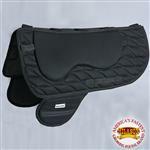 How does a Hilason® saddle work? Hilason® Saddles are made with the best available technology in the equestrian industry. Starting for the material to the manufacturing technique, every aspect is passed through a rigorous testing process to yield the desired result. Because of the absence of a rigid tree, the saddle conforms to any and all horses back no matter how high wither or wide and round backs the horse may have. 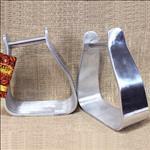 Why Hilason® Treeless Saddles are different? 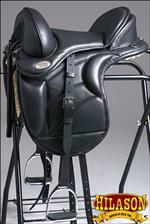 Hilason® Saddles have a far more advanced and effective WDS (Weight Distribution System) than others. More wither clearance for high with horses also. 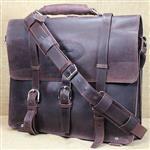 More securely designed cantle and pommel. 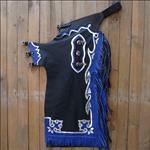 Perfect for beginners and barrel racers. Extremely low price as compared to competitors. 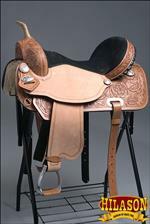 This saddle can be used in association with regular western rigging accessories and saddle pads.